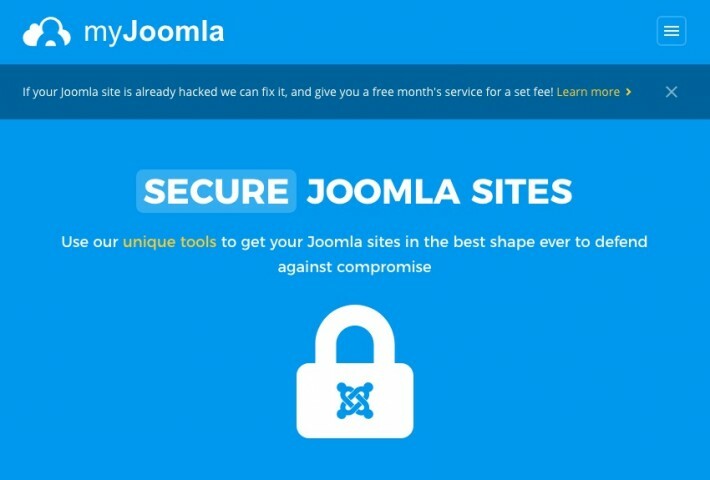 Are your Joomla websites secure? There’s no way to be sure, if you don’t do a complete audit of your website. But where to start? Manage.myjoomla.com is a webservice that wants to answer that question for you – and we’ve reviewed it for you. MyJoomla is an online service which allows you to Audit, Manage and Back-up your Joomla websites. We had the pleasure to review the product, and write about our findings. MyJoomla is an online service, built by Phil Taylor – a renowned Joomla security specialist. That explains the main strength of MyJoomla : it allows you to audit your own Joomla websites with a few clicks. Phil Taylor has been intimately involved with the Joomla project since the earliest days in many capacities and is well known for his Joomla expertise globally. It doesn’t matter if your Joomla site is hacked, or you are taking over an existing Joomla site created by other developers, you first connect your site using our free connector, and then start your first audit Did I mention your first audit is FREE!). I will notify you when the audit is complete, this takes anywhere between 2mins and a few hours depending on your site/server, the results are then instantly available in your audit console. I will fully explain what was audited, how I audited, provide some background information and make recommendations – then give you the tools to implement those instantly without leaving the audit results! I have been fixing hacked Joomla websites every week for world wide clients for many years – now the same tools I use are at your fingertips! Fix your vulnerable site after a hacker has compromised it. DON’T PANIC – Don’t make it worse, contact us right away! Includes a complete audit, cleaning of the damage and securing your site against further future attacks. The Audit Feature alone is reason enough for everyone to consider subscribing to this great tool. But wait, there’s more. Includes a complete audit of your site, investigation into your problem, server or PHP fix to resolve the issue and full advice on what may have caused it and steps to prevent in the future. Includes a complete audit of your current site, a tested backup is taken of your site, then the upgrade is performed and tested for acceptance. Nothing to lose – audit your site for free today! Although I state “I” a lot – the audit is fully automatic and you can conduct them at any time and get instant results – even while I sleep! 🙂 – Using the tools that I use myself to fix hacked Joomla websites every day!